I was lucky enough to receive this product from KEVYN AUCOIN Beauty as PR, but as usual, all opinions are my own. Links are affiliate links, if you shop using one of them, I do earn a small commission. Thanks in advance if you use them! 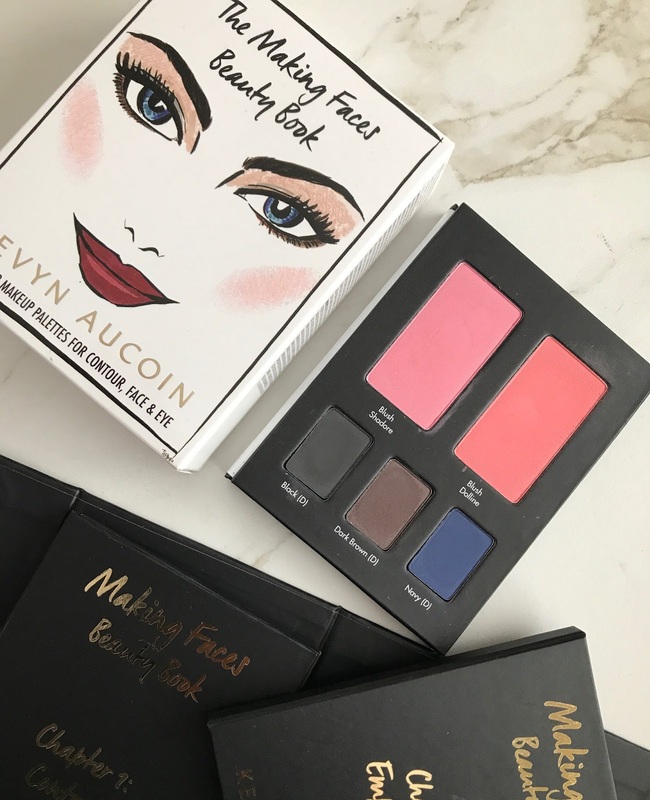 I was lucky enough to receive the KEVYN AUCOIN The Making Faces Beauty Book a few weeks ago and today I am here to share a very comprehensive review. 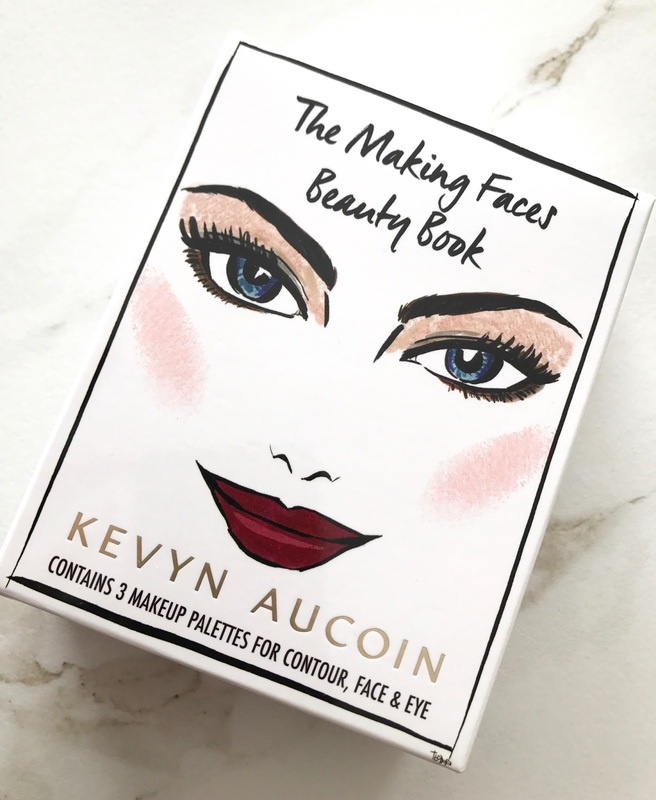 If you're a fan of the KEVYN AUCOIN beauty brand and/or have the Making Faces book, which is a cult classic in the beauty industry, I would say that this beauty book is a must-have in your collection. The first thing that I thought of upon seeing the KEVYN AUCOIN The Making Faces Beauty Book was what an amazing gift this would make. The packaging is something really well thought out and really well executed, it looks just like a small version of the original book, which includes three chapters filled with some of KEVYN AUCOIN best-loved products. As someone who loves books, beauty and makeup, this beauty book is something really special and totally out of the ordinary. The beauty book includes a mirror which really takes this book from just being something you can display or use once in a while, into a palette. When I travel, this is exactly the type of item that I love to take with me and I can already tell you that it will become a travel companion for me. Plus, I have also been really enjoying it at home, where I can open up the three chapters and create a beautiful look, and only need mascara, lipstick and foundation to finish of my look. The beauty book comes with a beauty how-to card to help you achieve some of KEVYN AUCOIN's iconic looks. Each chapter also comes with step-by-step tips on how to use the products, something perfect for those of us that are not "makeup experts". This is my favorite chapter of the book. I love the contour powder which is a cooler tone and the perfect contour shade for my medium skin tone. I've always had an issue with contour shades veering orange on my skin tone and this truly is the perfect tone. It's not overly cool and looks like more of a true shadow versus a streak of orange or brown. The second product that I am really enjoying is the Candlelight Highlighter. This is not a blinding Instagram style highlighter at all, this is a subtle and very refined highlighter that gives a perfect hint of candlelight to where ever you place it. I don't always wear highlight and have a hard time finding good ones that will give me a beautiful glow-from-within finish versus blinding and I have fallen in love with Candlelight. If you are not into the Instagram trend highlighters either and are looking for something refined and elegant, I suggest Candlelight for sure. This first chapter also contains a bronzer that's warmer than the contour but not overly so. Again, I don't like bronzers that are too warm because they will look orange on my skin, so this one is really nice in-between shade. Have I mentioned how nice it is to have all the powders you need for your face in one place? I love that there are two blushers included in this beauty book, one is a cooler pink and the other is a gorgeous shade of coral. Both blushes are matte and super pigmented. I had only been wearing the Dolline because Shadore looks a bit more pink than I prefer but one of the KEVYN AUCOIN beauty tips included in the book is that to achive KEVYN AUCOIN's signature blush shade we should mix both blushes together. I've tried that today and loved the finished shade, it's very pretty. My suggestion with the blushes, is to apply with a light hand because of how pigmented they are. The second chapter also includes three perfect liner shades: Black, Dark Brown and Navy. These shades are not the same formula as the eyeshadows in the next chapter, they feel a little more dry. But are they pigmented, especially Dark Brown. These shades are also perfect for deepening out an eye look and creating a really smudgy, smoky look. Or just apply them with a wet or dry angled liner to really define the eyes. The EmphasEYES chapter in the KEVYN AUCOIN The Making Faces Beauty Book is probably the most exciting. Here you get 8 beautiful shadows, perfect for creating an everyday eye look. These shadows are more on the cool-toned side. I love cool toned shadows and find them hard to find, so for me this selection of shades definitely works. 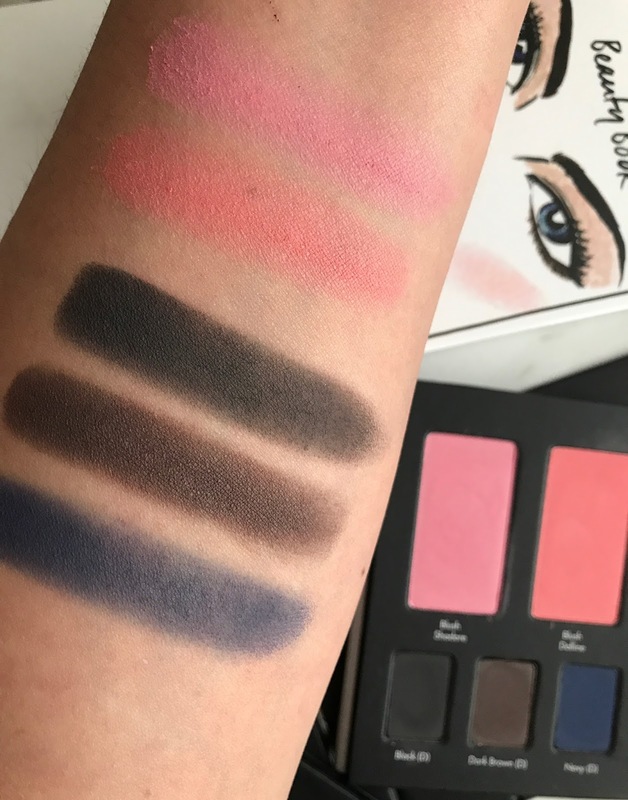 There are two really soft and creamy mattes (including Taupe which is divine), five shades which have more of a satin finish (including Amethyst which is so reflective and gorgeous on the lid) and a more shimmery steel blue that is amazing. I've worn these shadows a few times now and I think they are beautiful. I am really enjoying Taupe and Amethyst together with Clay as my base shade. Blue Steel is another stand out for me as well, I love smudging that on the lower lash line where it looks beautiful. 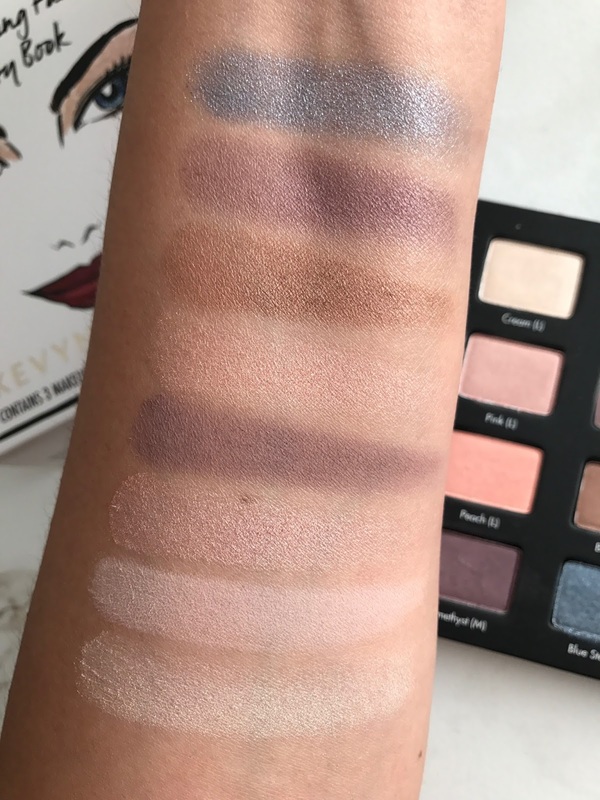 These 8 eyeshadows will provide you with really pretty, highly-wearable eye looks that can easily be taken into evening by adding one of a few of the darker shades in Chapter 2. The addition of those three dark, matte shades really makes this eye palette super versatile and I am really enjoying it. Now for a few cons: the price of the KEVYN AUCOIN The Making Faces Beauty Book is $75, which is a lot. However, when you look at how much product you're getting it's definitely an amazing value. In the KEVYN AUCOIN The Making Faces Beauty Book you get .17 oz Sculpting Powder, compared to 11 oz of product in the full-sized Sculpting Powder, which costs $44. That's the sculpting powder alone. As you can see the value is definitely there and according to KEVYN AUCOIN Beauty the total value is $250. The only other con that I can think of is that this book is more cool-toned. 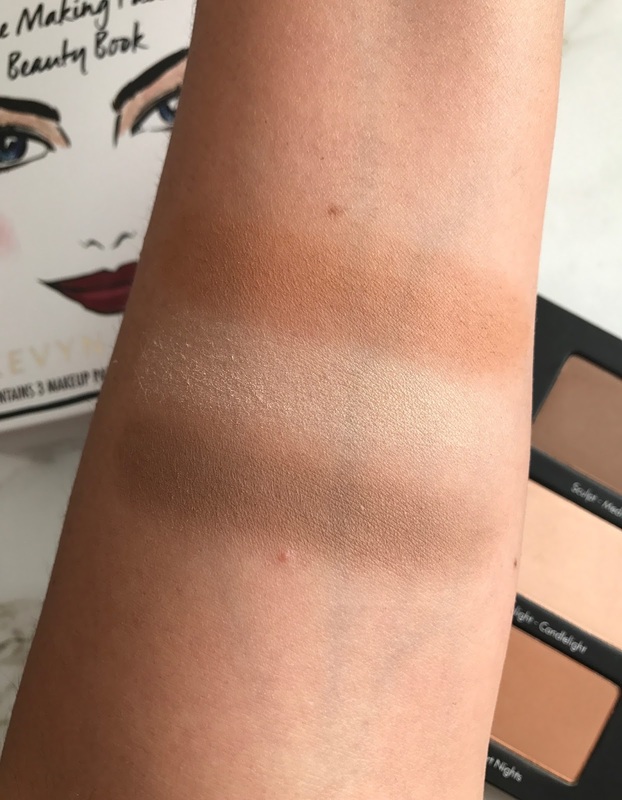 Everything from the sculpting powder to the shadows is more on the cooler spectrum, so if you like really warm shades this might not work for you. As someone who is always yearning for more cool tones in beauty products, this entire beauty book is right up my alley. At the end of the day, I am loving my KEVYN AUCOIN The Making Faces Beauty Book. I've been using it so much, even this morning I have once again reached for Chapters 1 and 2. 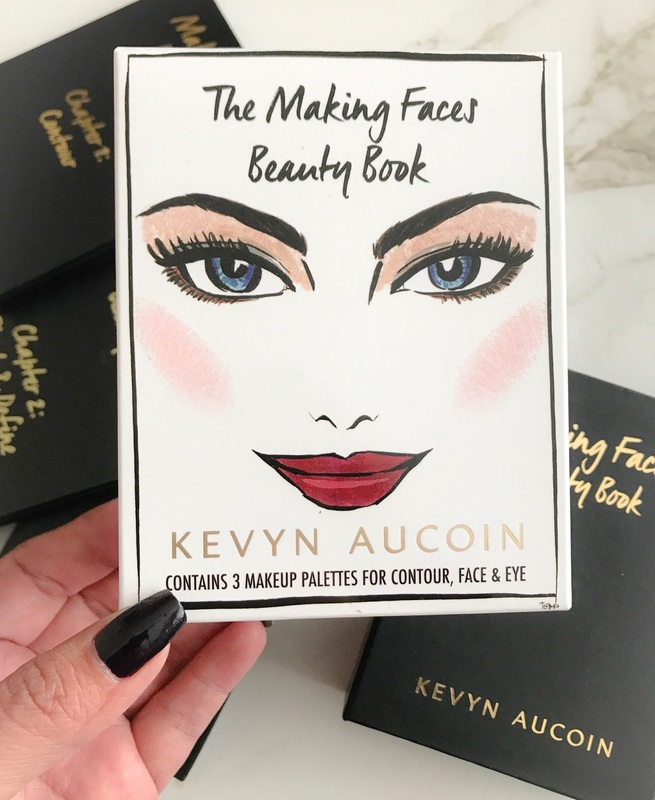 If you're a fan of KEVYN AUCOIN products or have the original Making Faces book, I think you will adore it! Also, keep this in mind during the holiday gifting season because this will truly make an amazing gift for a beauty lover. This review was exactly what I was looking for! Perfect photos! Thanks for such a great review.